The first UFO Hotel in America is no longer just a fantasy — thanks to Luis Ramallo. The first UFO Hotel in America is no longer just a fantasy. The $30 million project in Baker, Calif., which is being spearheaded by a charismatic visionary, Luis Ramallo, will feature 31 rooms on two floors designed within a full-scale alien spacecraft where guests can spend the night in alien-themed rooms and dine in an alien-themed restaurant. 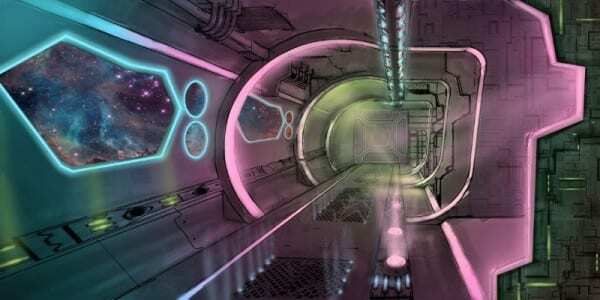 The $30 million project will feature 31 rooms on two floors designed within a full-scale alien spacecraft where guests can spend the night in alien-themed rooms and dine in an alien-themed restaurant. The UFO Hotel, which is in pre-construction development, will have an alien-themed lobby, spa, nightclub, casinos to spin money if you want to break the monotony of using winaday casino no deposit bonus, and other attractions, such as Sci-Fi fanatics and guests getting married in alien costumes — on their favorite planet. Having already invested major funding into the project, Ramallo is seeking additional fundraising through investors and Kickstarter. He believes Sci-Fi fanatics globally will each kick in contributions to help fund what will be one the world’s most unique hotels and may rank among the biggest Kickstarter campaigns in history. The crowdfunding campaign provides backers with a wide choice of UFO Hotel exclusive contribution rewards from $1 to $10,000. Room rates at the UFO Hotel will be competitively priced, beginning at around $300 a night – “an incredible bargain for a one-of-a-kind experience,” Ramallo says. Alien-uniformed employees will use modern touch-screen technology to check guests in. Monitors will show scenes of activity from all around the spaceship. As guests walk to their rooms, they will be able to twist various dials and hatch handles. If they turn the wrong one, a warning light and siren will flash, just like on an actual spaceship. There will also be unique photo-ops throughout the spacecraft with alien crew members re-charging themselves in pods. Ramallo came to America 27 years ago from Argentina with $100 in his pocket. He soon created Alien Fresh Jerky near the infamous Area 51 in Nevada, where the intense secrecy of the U.S. Air Force base made the area a frequent subject of UFO folklore. Ramallo later moved his business to Baker, Calif., where he kept the alien theme for the jerky business and soon came up with the idea for the UFO Hotel. More than 750,000 people annually visit the Alien Fresh Jerky store, traveling along the Las Vegas-Los Angeles Interstate. Frequent visitors to the landmark store say they can’t wait to stay at the new UFO Hotel. “It’s going to be one of the most unforgettable experiences ever,” says Carlo DiGregorio, who made his traditional stop at Alien Fresh Jerky on his return to Los Angeles from Las Vegas. His girlfriend, Jeanne Rodriguez, nodded her head in agreement. “I can’t wait,” she says. Neither can the folks in Baker. The UFO Hotel will not only create as many as 100 new jobs in this withering desert town of approximately 650, but Ramallo expects the UFO Hotel to bring the city back to life.